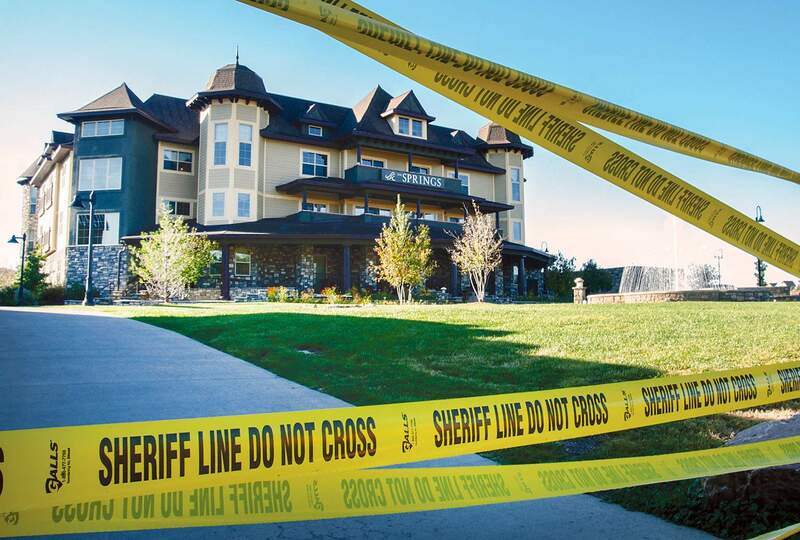 Federal agents executed a search warrant Sept. 25, 2014, at the Springs Resort & Spa in Pagosa Springs in connection with a tax fraud investigation involving William Whittington, the father of the two former owners. A former Pagosa Springs man who committed tax evasion, which included income from the Springs Resort & Spa in Pagosa Springs, was sentenced Tuesday to 18 months in prison and one year of probation. William Marvin “Bill” Whittington, 69, who now lives in Arizona, pleaded guilty in May to filing a false tax return related to $11 million in offshore bank accounts in Liechtenstein and about $900,000 in under-reported income from the Springs Resort & Spa from 2010 to 2012 – money used to pay for “personal expenses,” according to the U.S. Department of Justice. Whittington is the father of Nerissa and Keely Whittington, who used to own the spa and hot springs in Pagosa. According to the plea agreement, Bill Whittington accepted about $1 million from the Springs Resort & Spa from 2010 through 2012 – income he didn’t report – which resulted in $364,994 in unpaid taxes. Including money from his offshore account, he owed between $1.8 million and $2.2 million in unpaid taxes. On Tuesday, Whittington dropped off a check for $1.8 million with the court to be used as restitution to the Internal Revenue Service. Whittington is a former champion race car driver who was sentenced in the 1980s to 15 years in prison for an international marijuana smuggling operation. In his tax fraud case, he was facing up to 36 months in prison and $250,000 in fines after signing a plea agreement. Whittington declined to speak on his own behalf before sentencing Tuesday in Durango’s federal courtroom. U.S. District Court Judge Robert E. Blackburn denied two motions by Whittington’s lawyer, Jay R. Nanavati: one to revoke special conditions of probation that require Whittington to divulge financial information and employment status, and another request to delay his incarceration because of medical conditions. Blackburn said the requirement to provide financial information to federal officials is warranted given the nature of Whittington’s crimes. And the judge denied delaying Whittington’s incarceration date because the medical procedures he had scheduled could be performed by the Federal Bureau of Prisons. “There has been no evidence that the Bureau of Prisons cannot perform the care that is needed,” Blackburn said. The judge said Whittington established bank accounts with the intention of misusing them. Whittington must report to the Federal Bureau of Prisons at a future date, but it was not immediately known when he must report and which prison he must report to. The Pagosa hot springs temporarily closed Sept. 25, 2014, while the Drug Enforcement Administration and IRS Criminal Investigation Division executed a search warrant as part of their investigation into drug trafficking and money laundering. At the time of the plea agreement, Nerissa and Keely Whittington emphasized that the federal investigation resulted in no charges against them, and that Bill Whittington does not own and has never had any financial stake in the hot springs. The Whittingtons no longer own the Springs Resort & Spa, an employee of the resort said Tuesday.